1909 Kitchen is not available through our online partner for your requested time. 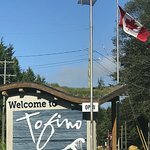 Description: Honouring the history of our coastal locale, our restaurant was named after the year Tofino got its name. With a fresh take on local ingredients, our shared plates are devised by up-and-coming chef with an impressive pedigree, Paul Moran. Unwind off the water with wood-fired bites or a libation inspired by the tides. Thank you very much for taking the time to share your dining experience. We are thrilled to know you were satisfied with the location, atmosphere and food! We appreciate your feedback about the music and will use it to fine tune our operations. Please accept our sincere apologies and we hope upon your next visit, we can exceed your expectations! On behalf of the entire team, we look forward to welcoming you back soon! Second time having brunch here. What a treat! Atmosphere was bright, cozy and friendly. Our server Colleen was the best! 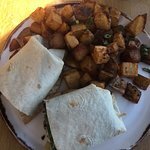 I had the Baja Breakfast Burrito, and it came with a side of rosemary hash browns. So yummy! Pro tip: order a side of their in-house made hollandaise and dip your burrito. Drool. 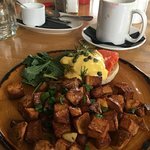 My friends who were dining with me had: the Ham Eggs Benedict and the Smoked Salmon Benedict both came with a side of tasty rosemary hash-browns. There are a few more breakfast items I am eyeing up. Will be back to try more! Thank you for dining with us recently and sharing your wonderful experience! I am so happy to hear that you enjoyed all the amazing food you and your friends ordered! Your feedback about our staff is appreciated greatly, I will ensure to pass it on to Colleen and the rest of the team! 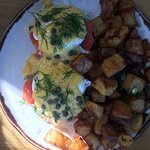 We can't wait to welcome you back to try more delicious items off our menu! 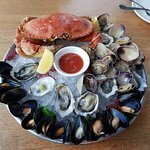 Our 3 day trip to Tofino from the Sunshine Coast to celebrate my birthday was 'open' in terms of dining. Once we arrived it was a typical west coast winter day ... cold, raining and lots of recent snow around so for the first nights dinner we only ventured next door to our accommodation .. it was a very enjoyable dinner but to be honest like many we have had as we do dine out often. 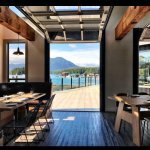 Next day my wife suggest I google 'fine dining' in Tofino and whilst the usual 'paid ads' popped up one stood out to me advising about 1909 Kitchen which had a chef who had recently won an award for best new young chef .. so that appealed to me and we made the reservation. 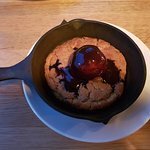 I have to say now that this chef is NOT a great 'new young' chef ... he is a GREAT CHEF .... and deserves to be rated up there with the 'best of the best' in Canada. 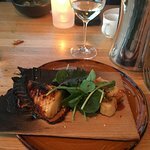 We are 'grazers' and like slow dining and sharing dishes ... we where truly BLOWN AWAY with this whole experience ... an emphasis on all fresh local food. Starting with oysters ( 6 ) and then 'doubling' up as they where SOOOO good .... then a gala apple salad ... then what has to be one of THE BEST EVER meals we have had .. black cod to DIE FOR with a side of fantastic brussle sprouts ... all of this complimented with a great bottle of Foxtrot Chardonnay ... has to be one of BC's finest. 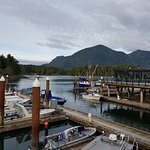 So Tofino is not an easy place to get to ... however for those who make the effort you should NOT make the effort and without experiencing 1909 Kitchen. Thank you so much for dining with us and sharing your experience! We are absolutely thrilled that you had such an amazing time at our 1909 Kitchen. Your feedback is greatly appreciated and a huge compliment to Chef Paul and his team. We truly hope to welcome you back soon to taste more of Chef Paul's unique dishes, as the menu does evolve with the seasons! Unbelievable from beginning to end, the food, drinks, service, view, smell of the wood fire oven. An overwhelmingly amazing experience, Chef Paul Moran and his team really know and love what they’re doing. Thank you so much for dining with us and sharing your wonderful experience! We are all so thrilled that you had such an amazing time. 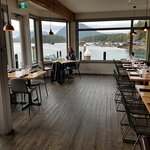 If you ever come back to Tofino, please come dine with us again, the menu evolves with each season and we’d love to host you! Absolutely amazing meal. Service was impeccable and the atmosphere unbeatable. Would go back any night of the week. Sean went above and beyond and surpassed all expectations with sincere service. Lovely meal. Five stars absolutely recommend. Thank you so much for dining with us and sharing your wonderful experience! Your feedback about our staff is appreciated greatly, I will ensure to pass it on to Sean and the rest of the team! 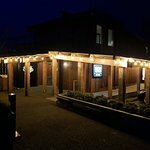 If your travels return you to Tofino, please dine with us again as the menu evolves with each season, and we would love to welcome you back! 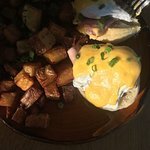 Been to 1909 Kitchen? Share your experiences!